Caring and providing for children on top of a busy school schedule and other priorities can make it seem difficult to succeed. In a 2009-2010 survey given to 1071 students who did not return to Salt Lake Community College the following semester, 21.1 percent said that family responsibilities made it difficult to attend school. SLCC has a service for parents that find it difficult to attend school and find someone to care for their children, the Eccles Early Childhood Lab School. The lab school, which provides care for children ages 2-5, is located just south of the Taylorsville Redwood Campus on Redwood Road. “We provide for students first, then staff or faculty and then the community,” said Sharlie Barber, the manager at the Eccles Early Childhood Lab School. The childhood lab school gives priority to those students who are looking to go to school full time, but also has schedules that match the community college’s Tuesday/Thursday and Monday/Wednesday/Friday student schedule, offering times from 8 a.m. to noon and from noon to 5 p.m. For students who have classes earlier than 8 a.m., the childhood learning lab offers an early morning class from 6:45 a.m. to 8 a.m. as well. The childhood lab school has 18 child care providers and staff. Barber said that most of them have a bachelor’s degree in early childhood development. 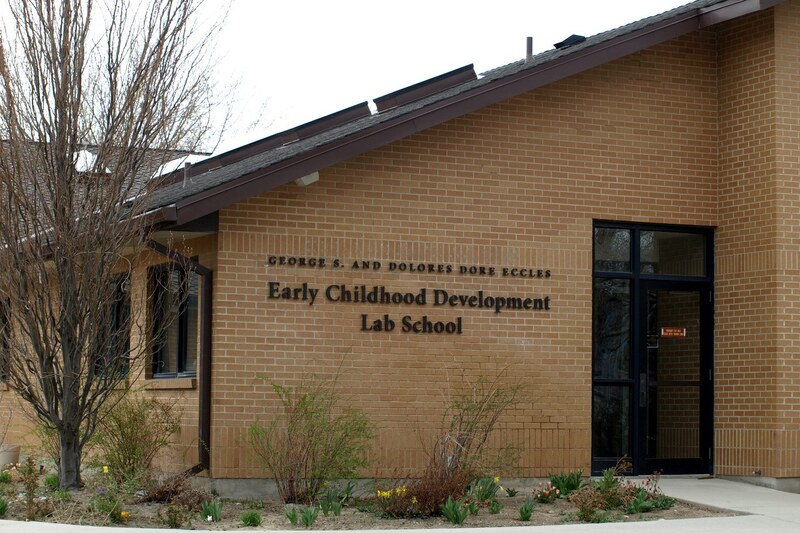 The lab also has current SLCC students on staff that are looking to get into early childhood development. The children at the Eccles Early Childhood Development Lab learn through what Barber called “active exploration,” a unique teaching approach that allows children to learn from activities that they participate in with the class. The childcare providers work with the students at both SLCC and the childhood lab school to ensure that each child’s specific needs are met and that each child has a positive learning experience. Students who are looking for child care or to get involved in early childhood development are encouraged to stop by and tour the lab to get a feel for what it is like. The childhood lab also provides training for all parents whose children are enrolled in the lab. More information about the Eccles Early Childhood Development Lab and the other child care services provided by SLCC can be found at www.slcc.edu/ccfs.